Butterfly Reflections, Ink. : "Welcome Summer" feat. Lawn Fawn! "Welcome Summer" feat. Lawn Fawn! It's franci ( friday finally) here today with a cute Lawn Fawn card to celebrate the season! Those whales are my fave stamps ever! they are soo pretty! 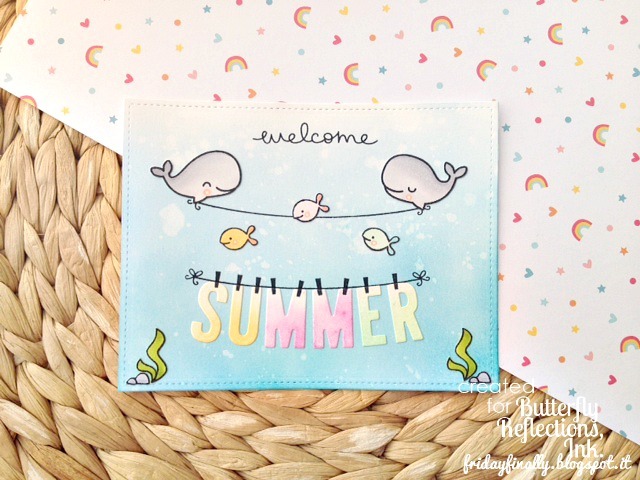 So today i decided to create a happy and fun card to get into the summer happiness! 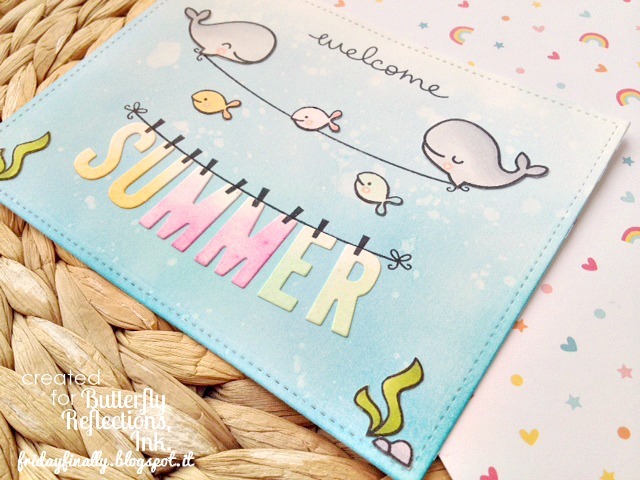 That's why i dusted all my "summer stamp set" and i started to create this fun ocean scene. I die cut my letters for the "Summer" word from some white cardstock and i used Spiced Marmelade, Picked Raspberry and Cracked Pistachio to gave them a super light color shade. Next i stamped my clothline on the background with the same black ink used before. I adhered all my pieces down and i also stamped all the clothespins on the letters. This is super adorable Franci! Love it! well that is just adorable! what a cute idea!! !